– One of Flemeth’s prophecies to Maric. Maric Theirin – part 1 – son of the Rebel Queen — start there. Maric Theirin – part 2 – the Rebel Prince — this here profile. Real Name: Maric Theirin, King of Ferelden. Other Aliases: King Maric The Savior. 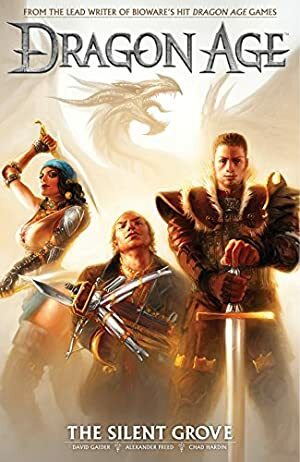 Known Relatives: King Brandel the Defeated (grandfather, deceased), Moira Theirin of Ferelden (mother, deceased), Rowan Theirin of Ferelden née Guerrin (wife, deceased), Cailan Theirin of Ferelden (son). Various other Theirin ancestors, the most important one being King Calenhad The Great. Height: No data. Weight: No data. By the time he ascended to the throne, Maric was a hardened killer and an uncommonly tough fighter. He thought nothing of meeting two or even three armed, trained men in combat. In the Deep Roads, he gained a genuine magical sword, made of dragonbone. Its blows are reinforced with magical radiance when striking at Darkspawns. And it is stout and sharp enough to slice through ordinary steel – such as a sword attempting to parry his blow. In 8.99, the rebels focused on Gwaren. It was a remote town of fishermen and loggers. It could only be reached using one trail across the dangerous Brecilian Forest. That made it uniquely defensible. Yet an ill-considered levy by King Meghren left it nigh-defenceless for a while. The town fell quickly, though it suffered more damage than Maric had hoped. However, an Orlesian spy had infiltrated the rebel ranks. This agent, named Katriel, arranged for the rebel forces who weren’t at Gwaren to be destroyed in a huge ambush. She then rode to Gwaren, posing as a rebel messenger. King Meghren’s forces came to Gwaren within hours, before the rebels could fortify anything. But another of Loghain’s ruses saved the day. Rowan and some locals tricked the enemy into believing that Maric has already been evacuated by sea by foreign allies. This allowed for a rebel ambush within Gwaren, to destroy the vanguard of Meghren’s army. This more or less worked in buying time, though Maric was nearly slain as he tried to help Rowan. Both armies could now control their end of the Brecilian trail. On the same night, Katriel easily seduced Maric. This almost led to Loghain leaving. But Maric and Rowan convinced him to stay, and MacTir was made a commander. Not only could Gwaren be easily defended, but it had a small port. This allowed the rebels to trade with foreign nations, to receive envoys, to fish, etc.. That was a vast improvement over being constantly on the run. Ferelden never was a maritime power, and lacked resources to set a naval blockade up. This allowed Maric to hold a small court, improving ties with both Fereldans and foreigners. 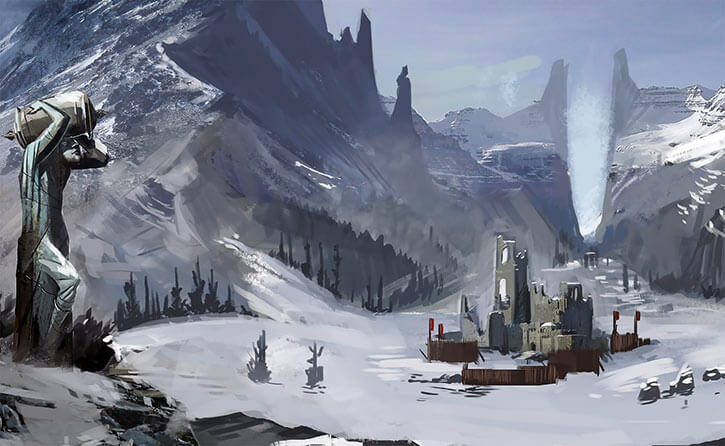 Maric, Loghain and Arl Rendorn thus negotiated with Fereldan nobles, but gaining further traction was difficult. Maric announced there would be no coronation until the whole of Ferelden had been reclaimed. He also announced his next move. 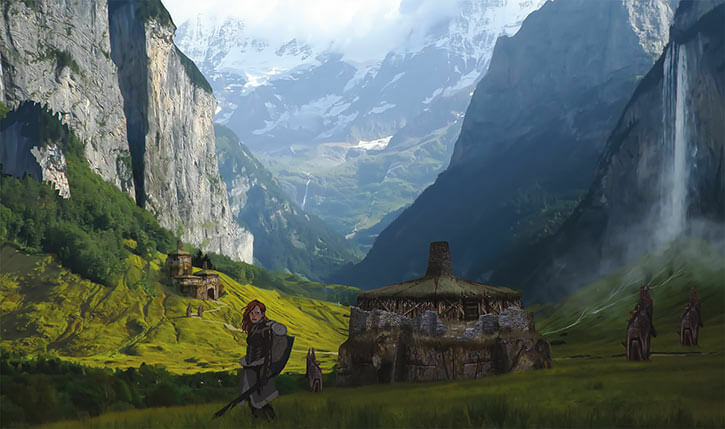 Based on intelligence brought by Elf spy Katriel, most of the rebel forces would be ferried by Antivan ships to attack the West Hill fort, in Ferelden. They would capture the pay for the occupying chevaliers, greatly weakening the usurper. One of the Banns, Bann Donall, brashly opposed Maric. He was slain by Loghain for his impudence. This shocked everyone to their senses. At the end of this day, the rebels had gained significant strength and support. With nearly a thousand men, the rebels fell in Katriel’s trap at West Hill. Her plan was almost perfect. However, Maric had been persuaded not to lead from the front for once. Another glitch was Rowan’s outriders spotting ambushers a bit earlier than planned. Maric thus escaped by the thinnest of margins. Sensing that everything was lost, Rowan and Loghain reluctantly abandoned the troops to rally their Prince. They found him with seconds to spare, but even the three of them seemed doomed until Katriel charged in. She had switched sides for personal reasons. The quartet lived on the run for weeks. Katriel treated Maric’s serious wounds, Loghain hunted and Rowan gathered intel. Rowan confirmed that her father had been slain, and that the usurper claimed that Maric was dead. Returning to Gwaren to rally what was left of the troops was a daunting proposition. However, Katriel also knew of the Deep Roads – a lost network of underground Dwarven highways. She located an entrance to these, likely going to Gwaren. Though the underground passages were scary and disorienting, they were genuine roads. It was thus possible to travel far more quickly than they would have across wilderness. And Katriel could more or less decipher the carved directions at junctions. The party found a lost thaig, named Ortan. Thaigs had been underground Dwarven cities. All but two had been lost during the apocalyptic First Blight. Within the abandoned ruins, the party was attacked by man-sized spiders. Body armour saved the fighters, and though Katriel was bitten she could be saved using the antivenom in her supplies. The party had to torch the webbing, which nearly killed them. But Loghain could endure through asphyxiation and saved the rest. In the wake of this incident, Maric finally understood that Rowan loved him in her way. She thus had been hurt by his dalliance with Katriel. However, he chose his words unwisely, pushing her away. In the wake of this incident, Maric made everything worse by professing unconditional love for Katriel. Even though she was trying to point out that he knew nothing about her, and she wasn’t what she seemed. This was a mix of Maric’s loneliness, immaturity, stress, and impostor’s syndrome – plus Katriel’s beauty and gentle demeanour. The directions Katriel read became confusing, and the party feared they were lost. In a tunnel, they found an ancient Dwarven corpse bearing a dragonbone broadsword. This exceptional blade was also bearing runes, some of which repelled the Taint and burned darkspawn. The latter property became evident when a horde of these attacked. Even with Maric’s new blade, the party was obviously outnumbered. However, they received unexpected help from a Legion of the Dead company commanded by one Nalthur. Though the Dwarves were surprised to find surfacers, they welcomed the help and offered basic hospitality. Maric’s trusting manner, and that the party had crossed Ortan Thaig, made a favourable impression. Thus, Nalthur offered guides to Gwaren. 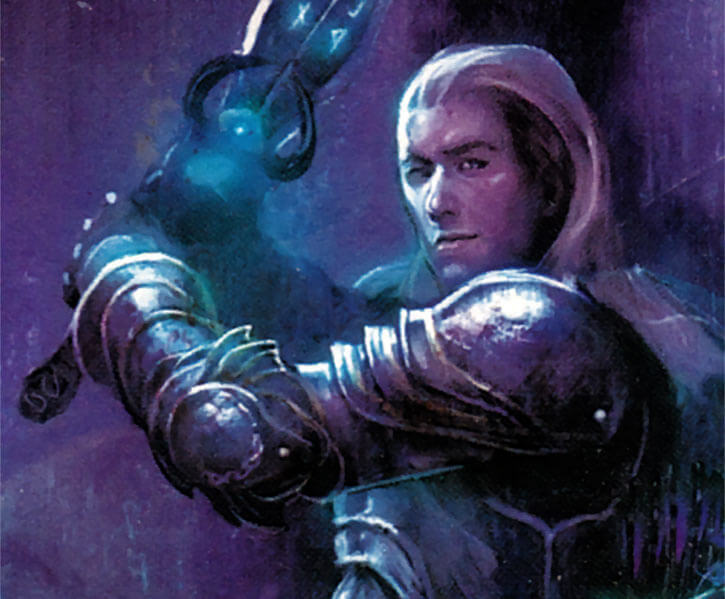 Maric and Katriel convinced the Legionnaires that there was honour in helping retake the throne of Ferelden. The battered rebellion thus gained precious allies. While they were but 50 or so Dwarves left in this company, the Legion of the Dead is one of the finest fighting force in Thedas. Surprise led to a clash between the party and the Gwaren rebels, but Maric cleared the confusion. The surviving rebels had held Gwaren, even though they thought that Theirin had been killed. Seeing him emerge alive from nowhere galvanised the rebels. Official reports of Maric’s death had been everywhere. Thus, when the rumour of his return spread, Fereldans thought he had been resurrected by the Maker to retake the throne. Furthermore, when the pro-Orlais forces attempted to storm Gwaren, they didn’t expect to face the Legion of the Dead. They took massive casualties, then the insurgents simply retreated into the Deep Roads. Between the resurrection rumours and seeing Meghren’s troops so badly bloodied, the population of Gwaren rose in revolt. From there the riots spread, particularly in Redcliffe. Predictably, King Meghren ordered massive executions. Predictably, that backfired. Maric’s forces also seized the opportunity to retake Gwaren. The chevaliers had massacred many townsfolk, further swelling the wave of popular anger. As the rebels were preparing their surge, Loghain exposed Katriel as a spy. He set up a confrontation between her and Maric. Katriel readily admitted the truth – as she had tried to do several times before. Maric was haunted by how many had died, especially at West Hill. He thus had an emotional breakdown. He slew his lover in revenge, but this supposedly just murder took a heavy toll on him. Devastated, Maric reunited with Rowan as lovers, as he needed her support. Katriel’s murder was one of the key points where Maric saw how dismal his role as the King of Ferelden could get. And he learned after the fact how Loghain had withheld information about how Katriel was hunted by the usurper. Katriel’s murder also ended Maric’s friendship with both Rowan and Loghain. Once a close friend, Loghain was now but his General. And Rowan had by that point little choice but to redefine herself as the Queen. Meaning her ties with Maric were now her job. Maric arranged for a meeting with the banns who had murdered Queen Moira. They thought there was a potential for an alliance, as their troops deserting to join the rebellion would be a big deal. But it had been a trap all along. Maric and Loghain fought the five men in a deserted church and slew them all. Personally avenging Moira in blood signaled what sort of man Maric had become. It also made it clear that the rebellion had come far enough that all Fereldans now had to pick a side. The gambit worked. The families of the slain nobles swore vengeance, but many others saw this as a display of Maric’s strength. 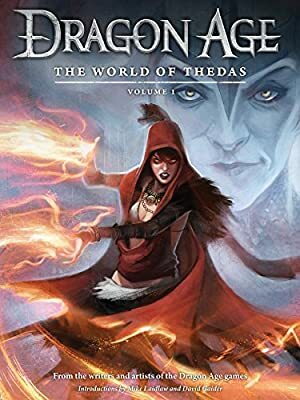 As the Blessed Age ended and the Dragon Age began, the whole of Ferelden was in open revolt. Seeing the writing on the wall, the Chantry abruptly stopped backing King Meghren. Revered Mother Bronach even asserted that Maric had been sent by the Maker, stroking the Fereldans’ religious fervour. At the River Dane, a greatly expanded rebel army met a force of chevaliers coming from Orlais. The rebels lost half their number, including the remaining Legionnaires, and Rowan was badly wounded. But the victory was decisive. Emperor Florian of Orlais refused to commit more forces to a lost colonial war. Meanwhile, Maric went on a special ops mission to confront Severan, Meghren’s right-hand mage. Katriel had left the rebels with a letter and supplies, explaining how killing Severan would greatly weaken the usurper. Even with his magic sword and martial experience, Maric couldn’t hope to prevail alone against a fully trained mage. But he used Katriel’s poison powder as instructed, and slew Severan. This also allowed the conflicted Maric to partially avenge his Elven lover. Nevertheless, Meghren fought to the bitter end, dragging the war on for three years. Maric eventually faced him in single combat and beheaded him. Meghren’s head was put on a spike by the palace in Denerim, just like Moira’s head had been. This was the last such display, as it ended the war at last. King Maric apparently kept purges to a realistic minimum, with important Orlais-aligned parties being allowed to leave. Maric Theirin was crowned as King of Ferelden in 9:3. Two years later, he and Queen Rowan had a son, Cailan Theirin. However, Rowan was then struck by a wasting disease. It proved impossible to cure, and Rowan died in 9:8. Maric had not been dealing well with the carnage from the civil war, or having killed Katriel. The dreary realities of ruling fractious Ferelden further wore him down, and Rowan’s death was a major blow. After she passed away he remained grim, alone and depressed. Thus, when a delegation of Grey Wardens came to the palace in 9:10, King Maric Theirin of Frelden took an unexpected decision. As time and hardship pass, Maric evolves into a greater-than-life warrior king figure. He’s clearly a hardened fighter, and a leader who has been through a lot and took many costly decisions. The clumsy and volubile young man was replaced by a bearded, grim-eyed knight with a weary yet assertive body language. The runes on Maric’s sword glow quite bright when the blade is drawn. They seem to provide as much illumination as a torch would. Though Queen Moira’s royal cloak has long since been wrecked, Rowan keeps Maric supplied with royal purple finery so he looks the part. That includes robes when he’s not in armour. The main portrait for this profile is *my terrible attempt* at portraying for Maric early during this era. To my knowledge, there’s no official depiction of Maric at this stage of his life. 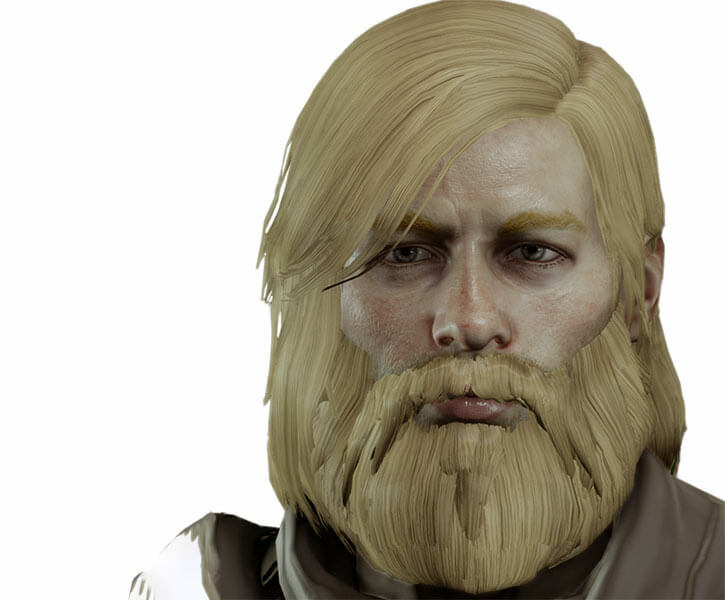 The hair should be longer and the beard thicker but heh, we do what we can. Because we must. The weight of leading an insurgency ground the empathic Maric down. Though he tried to keep things clean, a civil war remains fraught with horror, suffering and mass death. Theirin never really accepted this, bearing the devastation he had to organise like a cross. His role as the Rebel Prince, then the King, forced him to become something he hated. Theirin was a rigid arbiter of life and death, sacrificing others for an elusive greater good. Over time he became less hesitant to take weighty decisions, but this reinforced his depressive tendencies. Maric felt comfortable with Katriel, since she made him feel cool and manly and safe – and didn’t push back against his decisions. Being an outsider, she treated him as he was and not as he had been, or how she thought a King should be. Maric was also bamboozled by her exceptional beauty. His murder of Katriel was the breaking point. She had behaved as fairly as circumstances allowed, yet Maric felt forced by duty and emotion to kill her. Afterward, it became clear to him how Loghain had manipulated him, and how Maric’s own weakness and craving for Katriel’s love had killed her. The murder also broke the two friendships that had carried him ever since the death of his mum. It was now clear that Loghain had never been a good man, though he was necessary to run the Kingdom. And Rowan wasn’t Rowan anymore – she now had to be the Queen. Maric and Rowan apparently managed to recreate a good level of emotional trust and support after the coronation. Whether it could be called love is unclear, but her disease and death further buried Maric in dejection. By that point he didn’t have any friend left, living alone in a sterile world of constant power, vacuous shows of bloody force, bitter conflicts and least-bad arbitrations and decisions. Authority Figure, Guilt, Public Identity. Dragonbone broadsword [BODY 08, Enhance (EV): 02 (cap is 06), Flash: 02, Mystic Blast: 06, Sharpness (EV): 02, Bonus: Mystic Blast is Combined with Enhance (EV), Limitation: Flash is Steady Illumination only, Mystic Blast has No Range, Mystic Blast only affects Tainted creatures (primarily darkspawn), Descriptor: Slashing, piercing]. The sword can also be used for bludgeoning damage, but Sharpness cannot be used in such cases. Maric is by that point a medium-level character. The power level in The Stolen Throne seems lower than, say, Dragon Age: Origins. And he needs room to continue growing in the next novel (The Calling). However he has a robust Hero Points total, in part to represent his luck. Curiously, his magic sword seems to level up as he does. The second AP of Sharpness isn’t evident before the fight against Moira’s murderers in the deserted church. Though that specific moment likely involved rolling a double. Writeup completed on the 12th of July, 2018.